I woke up on Friday morning groggily with multiple emails and messages informing Friday judges that we should only report in at 1PM instead of 11AM. Turns out there had been an incident in a casino not too far from the tournament venue. A certain organization claimed to be responsible and because of that the GP might be called off for safety and security reasons. In the end that turned out to be vastly overblown, but it ended up be to be quite a sad tragedy after all. 1) Announced that we only have the ‘Mega Trial’ open for registration and not have to build an express line in the middle, but then announce that we are not taking any registrations for everything else, disappointing players who were in line. 2) Have judges or staff go down the line to make sure the players have their DCI numbers ready (on slips of paper, for example and redirecting players who does not have DCI numbers) instead of creating a bottleneck and delay at the PC end. 3) Have a better location and design for registration lines. The lines were very close to the playing tables, sometimes players not in the line chat with the players in the line, creating traffic congestion in the aisle. I had a great Saturday with Matteo Callegari as my team leader – who taught me what team building really means. Matteo started the day by asking everyone to share something about himself that someone on the team already knows, and something that the team doesn’t know, bringing the team closer by getting everyone to know each other better to kick start the day. 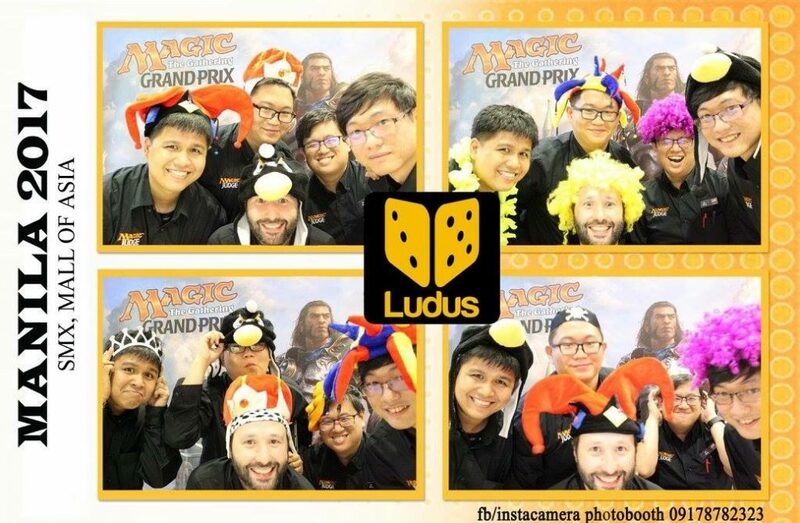 That with the uplifting personality of Matteo made the day fun whole day long, sharing stories and scenarios with each other, and then capping the day off with a funny picture time thanks to a ‘photo-booth’ setup from the organizer. The camaraderie he built in the team whole day long is something I want to strive to do in the teams I lead. Team Pairings/Slips having some fun at the end of Saturday. Repeating events – having the same judge do the same repeating event such as turbo sealed has the advantage of not having to retrain judges on how it’s done. Having that judge hand it off to his PM shift counterpart should also be in consideration when designing the schedule. Using Gantt charts to keep an eye on tournament progress in planning – it really helps with the planning to be able to see how many events are expected to be running at the same time to decide how to allocate resources. We had trouble balancing the low number of judges on Sides and the sheer number of events. I suggested that the mid shift start about 45 minutes earlier so that we can have more judges available and be able to send people off for lunch easier. Make sure your ODE lead has a good plan – our ODE lead had a decent plan and used pen and paper to keep track of space usage, which was efficient enough at the beginning of the day. Unfortunately it wasn’t clear and easy for handovers towards the end of the day when there’s still a steady rush of ODEs but less and less judges and more and more ODEs. 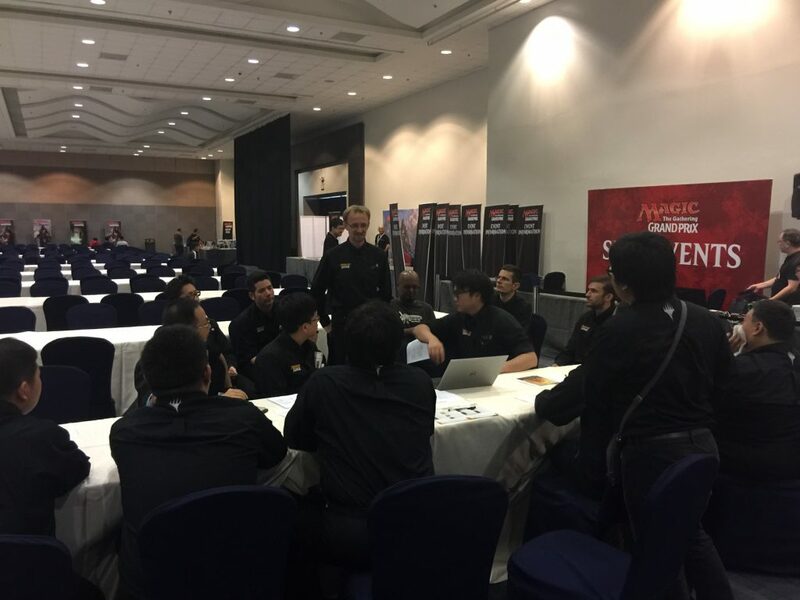 Keep a closer eye on your longest event – While we were keeping an eye on the tournament progress, we erred in not putting much concern on the PTQ, which had the most players and the earliest start but yet expected to be our last event. 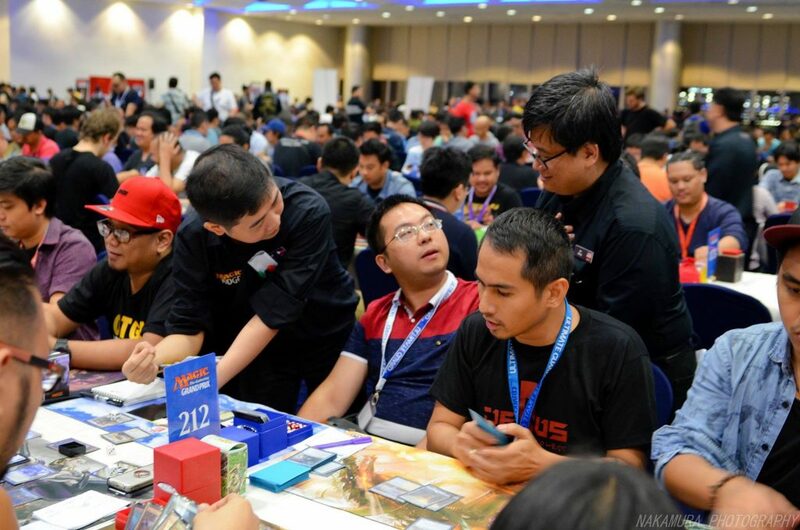 In the middle of the day, Matteo came to Edwin to express his concerns about how the PTQ is rather behind schedule and have long round turnovers. While we have a strong albeit a little inexperienced L2 as a head judge, he had two L3s In his crew and the most judge resources to make sure the tournament doesn’t suffer. 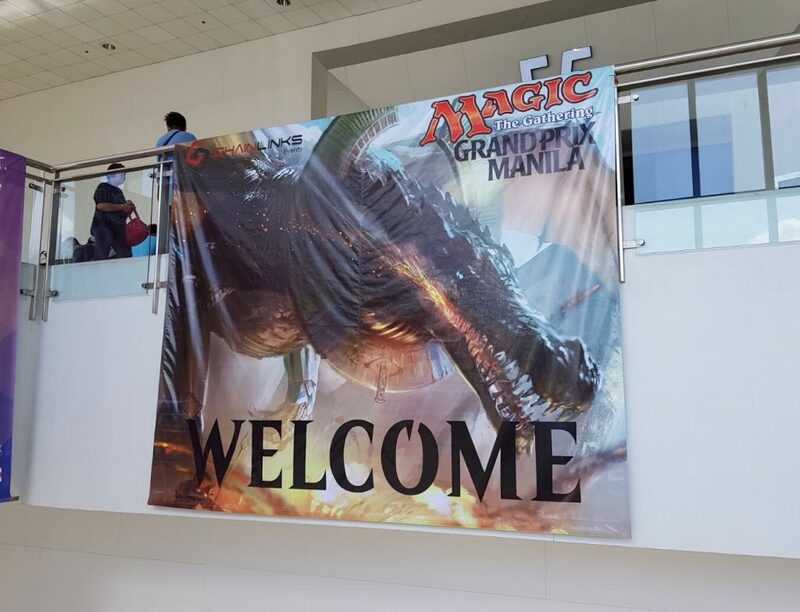 Speaking for myself, I assumed the PTQ will be smooth sailing and pretty much a done deal on its own. It didn’t register in my mind that I might have to remind the HJ and his L3 support that we might need to buck up and watch those round turnovers and help deal with whatever potential issues that might be holding up the rounds. 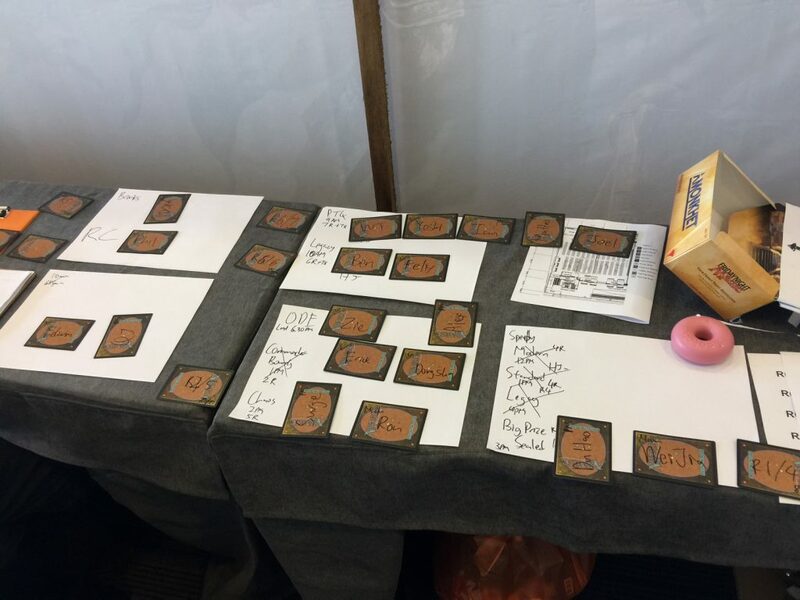 To assist Edwin to keep track of all the tournaments and judge resources we have, I assembled a tracking board with cards with judges names on them, and then use pieces of paper to write down the tournament, then placed the ‘judges’ on where they are assigned. I made marks for PM shift on the top right corner, put on a tick on the top left corner when they have already taken their break. I also use another piece of card for round progress – so we can keep an eye on that too. Pardon the messy hand writing, I came up with it on the fly, and since it was getting a little hectic, I wanted to make sure I don’t take too much time doing this in case I’m needed on the floor. The board was inspired by how I saw Hans Wang manage sides in Brisbane 2017, where he used laminated paper and sharpie, making it a lot more organized and tidy looking. This might not be suitable for staffs that are bigger than this – the index card of judges method I saw Sophie Pages do in GP Vegas might be a better fit. The PM shift judges are ‘untapped’ because I believe we were discussing how to move things forward when the AM shift judges leave so that it’s easier to see and plan ahead. The crosses are on events that ended or didn’t fire. I hope you enjoyed this entry in my GP Diary. I was hoping to write at least one entry a month, but obviously I missed that target by a mile. Hopefully the next won’t take as long. Thank you very much for reading, please leave a comment below or in the forums if have any feedback please!